It is with great sadness that I inform you of this sudden loss. 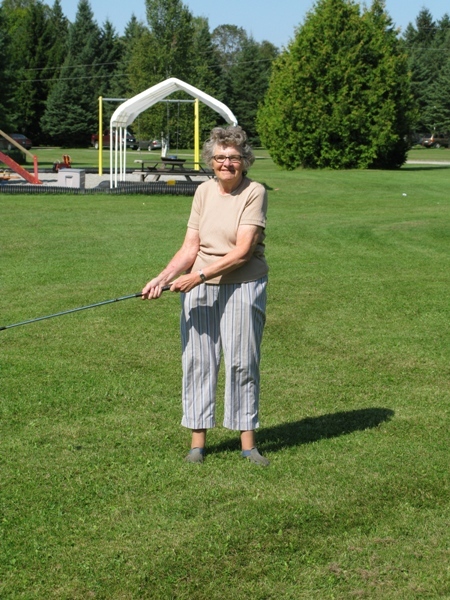 Margaret passed away yesterday, on August 1, at her home in Scarborough. On behalf of all members of Harmony Ranch, I extend our sincere condolences to the entire Heath Family and to fellow Barbershoppers Rick and Gord in particular. 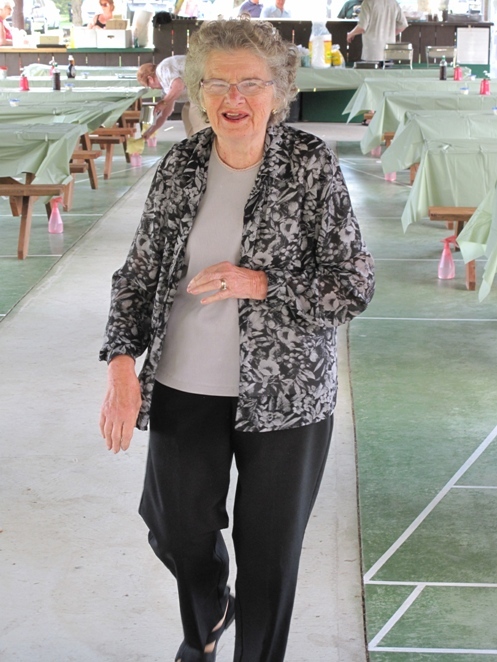 It was only a couple of weekends ago up at the Ranch during a visit with her son Rick that, from the comforts of my deck, I enjoyed her stories (many I had heard before but all as enthusiastic as the first time she shared them with me! ), and her anticipation of the Aug 3 long weekend ahead. I told her that I looked forward to seeing her then, with family and friends. There was very little idle time for Margaret. She was a dedicated volunteer, advocate and community supporter both inside and outside of the Barbershop Family. Gord Heath, Margaret’s son, asked me to pass this information on to each of you. More information will be made available in the days ahead. 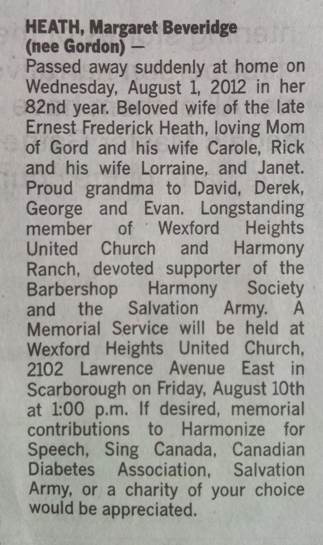 Memorial Service Friday August 10, 2012 at 1pm Wexford Heights United Church 2102 Lawrence Avenue East (just east of Warden) Scarborough.